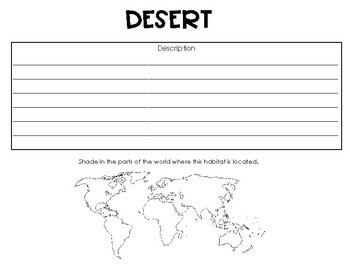 Using this journal, students research five different habitats: the desert, rain forest, tundra, grasslands, and ocean. 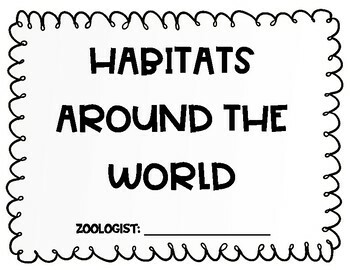 They describe each habitat, locate it on a map, record animals, plants, animal adaptations, and plant adaptations. 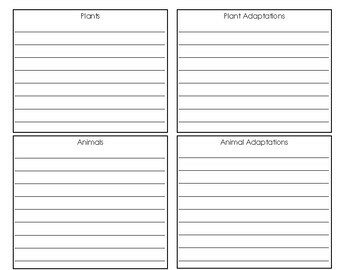 Students can learn how to research and take notes with this resource. 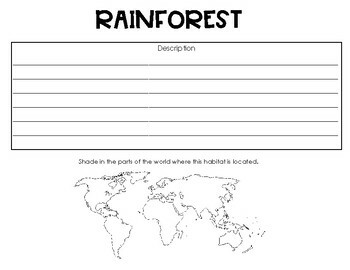 It is a great way to research habitats before a project! You can print double sided with a cover page to make a journal.